The trade deadline has come and gone with the Nets acquiring Marcus Thornton and having 2 roster spots open for buyout candidates. In the wake of the deadline, Billy King and Jason Kidd made several comments about the state of the Nets, to beat reporters and WFAN respectively. Some of their comments were rather eye opening, in both concerning and encouraging ways. Here is a roundup of the state of the Nets at the deadline. Jason Kidd raised a few eyebrows with one of his post deadline statements, but it had nothing to do with the trade market. He said that he would not increase Garnett’s minutes to close the season, or even in the playoffs. Garnett has only averaged 21 minutes per game this season, and has sat out numerous back to backs. I have been a huge supporter of this minutes management, and have defended it all year even in the face of bad losses when he has sat. Garnett was good in the playoffs last year, but did not have the impact he had during the regular season. And history tells us that giving older players too many minutes will hurt them as they tire. Paul Pierce struggled in the 2013 playoffs as a result of a large minutes burden. Jason Kidd is our coach instead of a Knick for this reason. The other end of the spectrum? Tim Duncan: his minutes were up from 2009-2011, and down from 2012-2013: the Spurs saw better playoff success as a result of having a fresher Duncan. It’s easy to get upset when Garnett sees low minutes, or rests, and the Nets lose. But Kidd has shown great understanding of the big picture: knowing that a win here or there means little if it results in a tired Garnett in May. However, Kidd’s recent comments are perplexing. Given Garnett’s impact this season, the Nets should strive to give him 30-35 minutes in the playoffs. Sure, that’s a large jump from 21: but the way you get there is via weekly, incremental increases. Play Garnett 22-24 minutes now. Then after a few games, give him 25-26 for a few games after that, and slowly but surely, prepare him for a 30-35 minute playoff workload. Remember, I am advocating this as a huge supporter of his limited minutes thus far. 1: he will not see any minutes increase, and the biggest barometer of our 2014 success will sit for nearly 60% of our playoff minutes. 2: Kidd will keep his minutes at 21, and give him a sudden playoff increase to 30-35 minutes that his body may not be ready for. Any runner or weight lifter knows: you do not go from 2 miles to 4, 50 pounds to 80, overnight: you slowly but surely increase your workload. Why increase Garnett’s minutes? One simple reason: he is the barometer for how good this team is, as its captain on the most important end of the floor. Garnett’s primarily played center in the new year, and since the calendar turned the Nets are ranked 7th on defense and 13th on offense. For the season, the Nets are 19th defensively, but 6th when Garnett plays: and his impact has been even more pronounced in 2014. The Nets in Garnett’s 2014 minutes: they have a 105.3 offensive rating and 94.3 defensive rating. The 94.3 defensive rating would be the league’s second best: a smidge behind Indiana and well ahead of the rest of the league, over a full season. The offense would rank 9th in the NBA: a team playing that well on each end is awfully tough to beat. Want another persuasive statistic: check out the net ratings of our most used lineups of 2014. The current starting lineup as a downright astonishing +24.1 net rating, with an 85.2 on defense (which makes Indiana look bad), and 109.3 on offense which would torch the league. Sub Andray Blatche for Garnett, and the unit has a -8.3 net rating (96.4 offensively, 104.7 defensively). Defense wins championships, which reflects in the net ratings of Nets in 2014. Garnett at +10.9 leads the team, followed by Kirilenko at +6.9 and Livingston at +6.5. Garnett’s defensive impact exists for two reasons. First, he’s a great defender. Second, he’s a way better defensive big than anyone else we have up front (which explains our search for a big). And third, he fits our system to a T. The Nets defensive system is based upon the roster’s impressive versatility. With a 6’7’’ point guard in Livingston, large wings in Pierce and Johnson, and a swiss army knife in Kirilenko, the Nets’ strength defensively is everyon’e ability to guard multiple positions, allowing the Nets to negate pick and rolls, misdirection, and other motion via constant switching. Garnett, as a big who can guard all 5 positions, is the centerpiece of that defense. When he sits, the Nets lack an interior presence, forcing them to double team more inside, and leaving them more vulnerable to drive and kick play, and to teams that are patient in moving the ball, as they await a mistake (which Garnett would not make). Overall, Garnett has been fantastic, and has been everything the Nets have asked for in trading for him. He’s the typical “litmus test player” in the league: how highly people view him is indicative of how much they study the game. Those who say he’s struggling and point to his 6.8 points per game are looking at the game the wrong way (and looking at the wrong stats). Last year, Garnett played 29.7 minutes per game, then 35.3 in the playoffs. He fell off a fair amount, but did not suffer a huge dropoff in impact. The Nets have managed his minutes better than Boston has, and should feel comfortable loosening the reigns, just a touch. Garnett’s had a huge impact on the Nets, but has only played 39% of their minutes. If he played 62-72% of their playoff minutes, how good could they be? Hopefully Kidd lets us find out. In the wake of Billy King dealing Jason Terry, Kidd made strong comments, indicating that while Terry is a dear friend, he endorsed trading him as best for the Nets. His comments were significantly more detached than Kevin Garnett, who was upset that two of his friends were traded. And that is how it should be. Kidd’s comments were a strong sign for his development as a coach. In the summer and early in the season, Kidd felt like more of a player-coach, than an authority figure. However, Kidd has been developing, slowly but surely, an identity as a coach, who has a feel for his players but is not one of them. 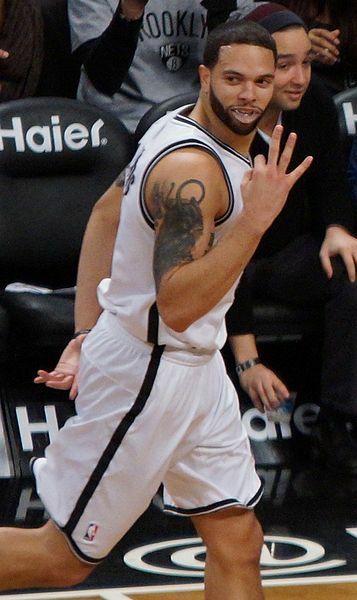 He has shown that he is not afraid to handle Garnett’s minutes and position how he sees fit, to bring Pierce off the bench, to bring Deron Williams off the bench, to send Andray Blatche home to improve his conditioning (“personal reasons”) and to remove and reinsert players from the rotation when he feels performance calls for that. On a team filled with players with lengthy credentials, Kidd has never allowed that to affect how he’s juggled his roster, even allowing younger players like Mason Plumlee to crack the rotation at times. 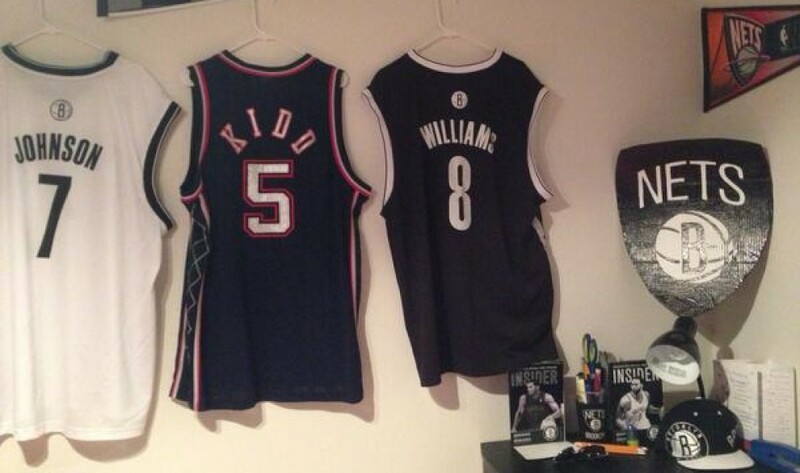 The Nets sold Kidd as a former player with a strong feel for players and the game. Those skills are starting to come out. He has made an effort to hold his troops accountable, and has begun to develop a relationship of teacher-student that some saw as impossible to acquire given his friendships with most of his roster as a player. Kidd has done this without throwing his players under the bus in tough times, without compromising his strong relationships but rather changing their context. There are obviously better NBA coaches than Kidd, but he truly is growing into the role. Billy King’s comments about his work this week was encouraging. First, Billy commented that he did not consult with Garnett, Williams, or any player about his trade. He said that deciding who to keep and deal is his job, so he made the call. The amount of control the Nets gave Deron Williams as they hoped to sell him on Brooklyn is well chronicled. The logic went, if you do not give players control, they will walk. The problem: that is not the best way, long term, to run a franchise. The Cavaliers acquired players LeBron James wanted throughout his tenure, which precluded their ability to get him a star. He then left because his moves failed. The Magic made multiple moves Dwight Howard asked for, like signing Glen Davis. How’d that work out? The very best organizations do not allow players to run the show, understanding that from top to bottom, all 15 guys must be held accountable, and also understanding that a GM who has studied the CBA will make better moves than a player who has not. Plus, power does not convince guys to stick around anyway. Coach Popovich yells at Tim Duncan the same way he yells at Patty Mills. Tim Duncan does not get to march into RC Buford’s office and tell him how to manage the Spurs. So at the end of the day, hearing that Billy made a move he believed was best, without asking his players – and in the face of Garnett’s notable displeasure about the move – was refreshing, and necessary. Billy understands: Terry and Reggie Evans are good teammates and better men, so players like Garnett were going to feel hurt at a minimum. At the same time, players play and GM’s manage on the best of organizations. After Williams’ tour as “assistant GM,” it is very refreshing to see Billy take a stand, and do what he believes is best over what players hope for. Over the long haul, that is how the best organizations operate. Perhaps in New Jersey, fielding a 12-70 team on Billy’s arrival and desperately seeking a star, the Nets felt they needed to cave to demands of players both to get a star and get his long term signature. Now? The Nets have a talented roster, an owner willing to spend, and Brooklyn and the Barclays Center to sell to the league’s talent. They do not need to sell players unbridled personnel power. Look at how Nets centric Williams, Blatche, and other player social media accounts are, after all. Players enjoy being Nets, and have expressed dismay when being dealt away (See Wallace, Gerald). Overall Billy’s comments indicate a step towards stability, and operating the right way. The second enthusiastic thing Billy said: that part of the impetus for dealing for Thornton is to begin getting younger. Sure, Thornton’s had a down year and and is by no means a building block, or even a guaranteed rotation piece. Nevertheless, Billy’s comment show is that he knows the Nets cannot afford to lose what little youth they have on hand. I will discuss this more during offseason previews, but the Nets are essentially locked into this roster, and what their current players can be traded for (which is not much), until 2016 when the books clean up. That leaves the Nets heavily reliant, for 2.5 years, on squeezing every bit out of what they have in house. The best way to maximize what is in house: rely on the younger players, and hope that those players take developmental steps forward with their games? Trading what little youth the Nets have for veterans with less upside and less of a shelf life would hurt that endeavor, and would increase the likelihood that the Nets totally implode before 2016. Getting better by virtue of Deron Williams, Brook Lopez, Andray Blatche, Shaun Livingston, Mirza Teletovic, Mason Plumlee, Marcus Thornton, Marquis Teague, and Bojan Bogdanovic, improving. Yes, by no means is such internal improvement guaranteed. Williams easily could be past his peak, as could (sadly) Lopez given his health problems. Blatche is having a good season but is not better than a year ago. Livingston could be gone given a potential summer payday. Teletovic stepped forward this year, but is another step forward in him at 28? Plumlee has room to grow, but how good can he be offensively with his outside stroke? Thornton already took a step down this year. Teague has not shown signs of being a rotation player of yet, and Bogdanovic very well may never come over. All that said, given the Nets lack of picks going forward, and lack of assets to add quality youth to the team, they still need to hope this group of players can improve internally. Albeit with a different group, Toronto has shown that you can take a step forward – and do so without a big personnel move – by receiving internal improvement. Internal improvement from Kyle Lowry, DeMar DeRozan, Jonas Valanciunas, Terrence Ross, and to an extent Amir Johnson has Toronto where it is at the moment: in first place. Will the Nets get there? If they play Garnett more and continue to show signs of a stable franchise, the answer could be yes. Ty on A Successful Nets Summer?